In the months leading up to the start of WWII an overspill country branch of the Woolwich Arsenal was built at Waterton on the outskirts of Bridgend. The Royal Ordnance Factory (ROF 53), known as "The Arsenal" and "The Admiralty" to locals, was opened in 1938 a year before the outbreak of WWII. Note: This web site concentrates on the Island Farm PoW Camp, but I have put together a section about the ROF factory which includes a lot more photos. Please see this page for a further information: (Click here). 1) The shell-making part of the factory which sited in Waterton. Due to the vast quantity of shells it made for the Navy, this part of the factory had the nickname of "The Admiralty" by the workers. 2) Once the empty shells had been made, they were then transferred to the shell filling part of the site, just below the village of Coity. This part of the factory was nicknamed "The Arsenal". Here the shells were completed before being stored in one of 7 very large underground storage bunkers before being distributed to the front lines. During its peak production, 40,000 people worked in the factory making it the largest employee factory that has ever been in Britain! People have tried to challenge me and say that the Woolwich plant had 80,000 during WW1. This is true, but this wasnt one factory, it was a collection of factories which, as a cumulative total, made eighty thousand. ROF 53 Bridgend, was one factory and therefore has the record. It is a record that is likely to remain unbeaten because productions lines today are autonomous. The main entrance to the ROF Factory 53 known as the "Admiralty". Today, this is site of South Wales Police Headquarters. This photo was taken 10th April 2015, prior to massive redevelopment in which an additional floor was added. The main work force of the factory were women - the vast majority of men would have been serving in the forces (Army, Navy, AirForce and reserved occupations - those exempt from conscription into the forces.) and these women would have come from miles around. Many travelled from as far west as Camarthanshire or as as far east as Monmouthshire and down from our various valleys. For these women it would have taken a long time to travel to work, stopping off at the various stops on route etc. 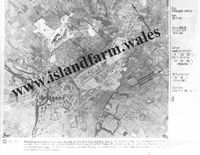 The authorities, therefore, requisitioned a large piece of land from a farm known as Island Farm, close to the A48 main road from Port Talbot to Cardiff, and on it, built a hutted camp for the employees. 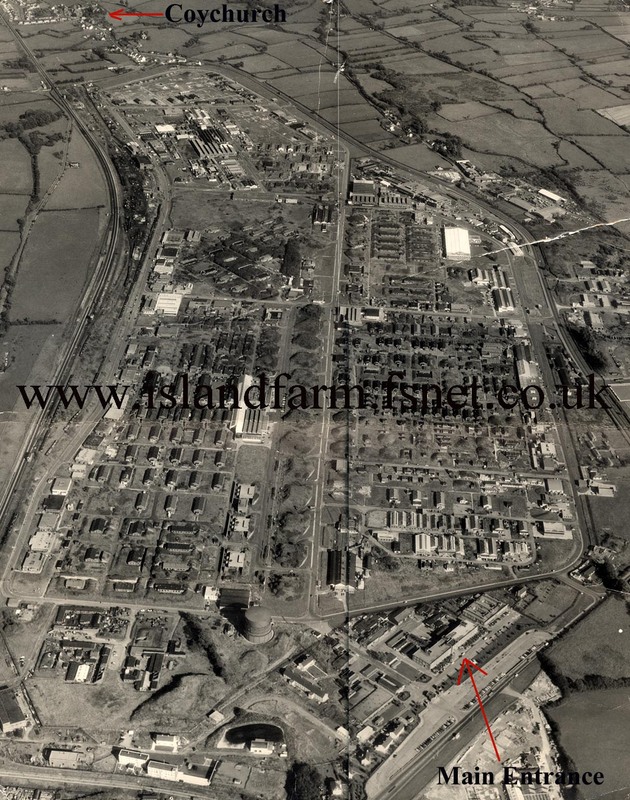 So, Island Farm Camp started its life as a dormitory for the ammunitions factory workers and not as a Prisoner Of War Camp. But the idea of the women staying in the camp didn' t take off because, for some of the women, the bus journey was the highlight of their day. They would have knitting competitions on the buses (see who could knit the longest scarf from the time they left home to the time they got to the factory), singing competitions (one side of the bus against the other) and they would share mend, "make do" ideas such as pickling techniques and recipes using the meagre rationed food supplies that existed during WWII. People who work in a dangerous job often become complacent about the danger of their environment believing that they are somehow protected from injury. 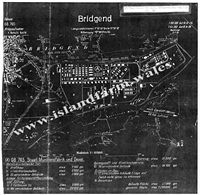 It would have only taken a small German air-raid and a few well placed bombs and Bridgend would have been wiped off the map. However, there was never any deliberate attempt to bomb the factory by the Luftwaffe. There are documented bombs that fell very close to the factory but these tended to be stray single bombs so more likley to be a plane which has been badly shot up or with engine trouble that has jettisoned its bomb load. 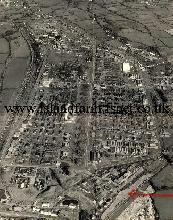 Why wasnt Bridgend bombed during WWII? 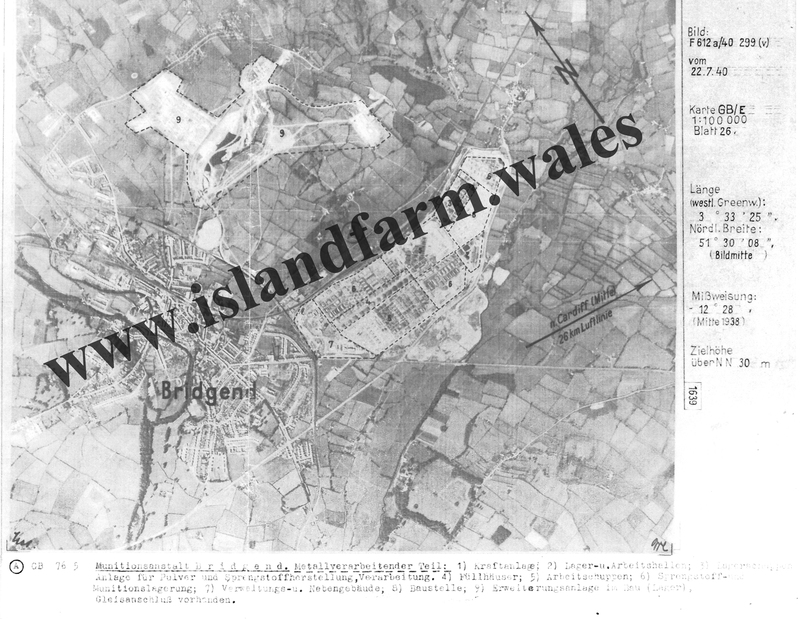 Click here to see a airraids on South Wales during WWII and how close bombs came to the factory, but these were single bombs e.g. a German plane with engine trouble and trying to lighten its load, and definitely nothing that resembled a raid like those on Swansea or Cardiff. Many local people have told me that they had heard that the reason the factory was never bombed is because the Germans could never find the factory again due to a low lying mist that shrouds Bridgend. The mist is certainly true, if you travel around Bridgend in the early Spring and Autumn mornings you can frequently see a low lying mist that rolls in from the nearby coast, however, I argue that both Swansea and Cardiff were heavily blitzed during WWII and, had the Germans appreciated the significance of the factory, they could have lined up on our very distinctive coastline and just carpet bombed straight through the town, using the river Ogmore, which flows through the town, to get their bearings. I have also heard mentioned that the Germans didnt want to bomb the factory for fear of hitting the PoW camp which was less than a mile away. 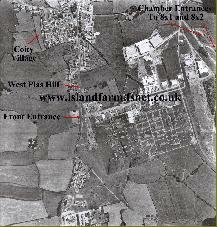 This tale is extremely unlikely to have any truth in it because Island Farm didn't become a PoW camp until November 1944, by which time, the strength of the German Luftwaffe had been greatly reduced and bombing raids this far into Great Britian had ceased. 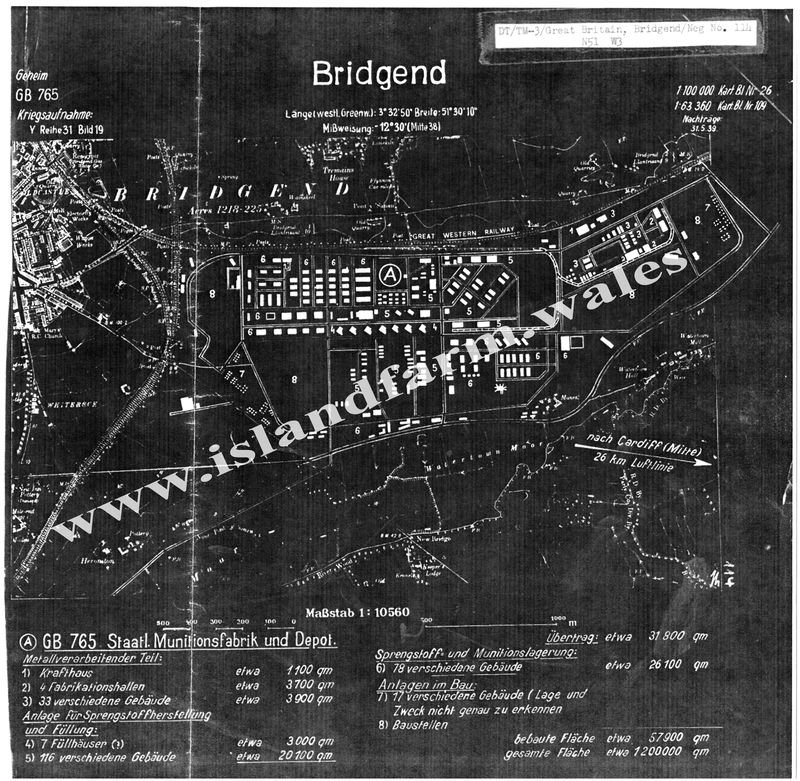 These photos are so clear that they show the complete layout of the factory and part of the town of Bridgend. The German intelligence also knew exactly what they had photographed because the photo clearly has the title "Staatliche Munitionsfabrik" - National ammunition factory !